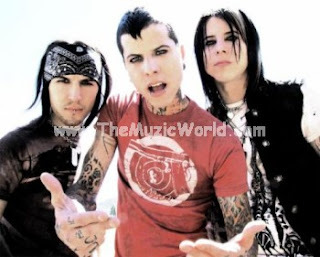 Born n raised in Philadelphia, identical twins Justin and Johnny hooked up with Alex Zarzycki, a drummer with a skill set and passion for music that matched their own. They formed Still Standing and began spreading its wings at the center of a growing punk rock scene in Philly. 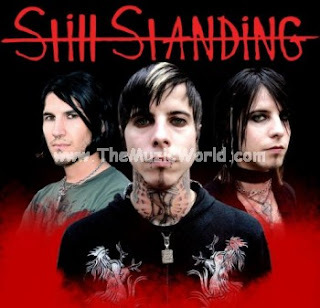 After establishing a strong live following and creating a buzz, Still Standing made the move to Los Angeles to record with well-respected Producer Tommy Henriksen. The band’s six song EP, drew the ear of Song Writer/Producer Marti Frederiksen (Aerosmith, Motley Crue, Buckcherry, Papa Roach) . They hit it off immediately and agreed to have him Produce and record their full-length record. In May of 2009 the band signed a record deal with Capitol Media Group. Now they are out with their new track BLACK AND WHITE and BLISTER IN THE SUN which are available to download on THE MUZIC WORLD. To download BLACK AND WHITE by STILL STANDING,'RIGHT CLICK' and 'SAVE TARGET AS' on the given link below. BLISTER IN THE SUN will be posted in the later posts.